Wheeler's Dog: It's A Croc! I’ve been forced into the waters of old mandom within the last year, but that’s okay. It’s the natural progression of things in life. And with the understanding of “how it’s going to be” comes a certain clarity. Things that used to matter to me just got tossed out the proverbial window like used motor oil. I used to somewhat care about my appearance. There was a time that I wouldn’t leave the house without washing my hair. At the time, my hair was thick and lustrous. It wouldn’t take long before it got greasy and dull looking. But since time has thinned out the follicles, my worries about leaving the house with unwashed hair just aren’t there anymore. I have always been careful about footwear. I have never worn sandals. I cannot and will never wear flip-flops for several reasons… I can’t abide that post between my toes. They make an annoying sound. And they just look like they could be dangerous when you walk fast, run, or misjudge a step. Plus, there’s the idea that I have about no one wanting to see naked man feet. Being at the beach of pool is one thing, but who really wants to see naked man feet? Men’s feet are generally hairy. A lot of guys don’t pay close attention to the trimming of nails. Men don’t take the time and effort into the appearance of feet that women do. It’s just not a pleasant thing to see. That’s just my opinion based upon seeing too many hideous men feet. But lately, I’ve been venturing out of the house with my Crocs slippers. They don’t have that strap across the heel. I’m careful about wearing ankle socks with them before leaving the property. I wouldn’t want to give anyone a glimpse of my own ugly man feet. I wear them around the house. I wear them by the pool. I’ll wear them over to my father-in-law’s house. I’ll wear them to Bait and Bobbie’s. I’ve even worn them to Hoyt’s for lunch with the wife. NOT that Hoyt’s is the gathering spot for clothes horses in the Reedy Creek area of Davidson County. The place is a laid back breakfast, lunch, and sometimes dinner spot with one helluva fried tenderloin. I’ve told Jamie that I just don’t care anymore. I used to cast a disparaging eye towards Crocs. But after having mine for a few years now, I totally get it now. They’re as comfortable as slipping your feet into a big ol’ pot of oatmeal. I love them. And now I’m on the look out for a new pair WITH the strap to venture out every day of the week when my appearance just doesn’t matter. First of all, I don’t want the ones with the holes in them. I’m sure it’s a breathable function, but I’m going to make sure that I’m wearing ankle socks with them. I like the looks of The Specialist II Clog. Especially the black ones. I also dig this one and this one. I recently told Jamie that when I’m leaving the house, I just don’t give a damn anymore. I’m settling into the comfort of being an old man and not just giving certain things like footwear a single thought anymore. 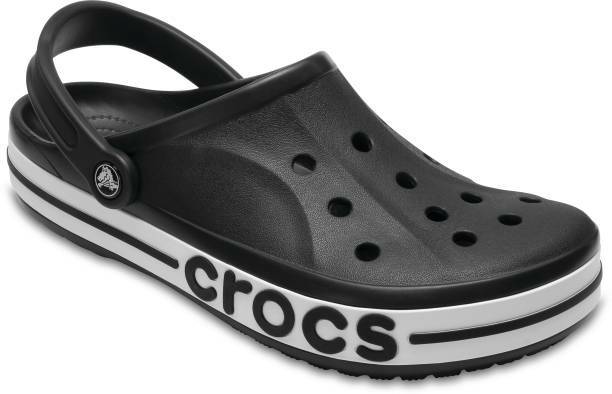 I have worn my Crocs to Lowes Foods, Hoyts, the neighbors, and Lord willing I may just wear them to a church service one day. No one gives two squirts that Jesus wore feminine footwear like sandals for the majority of his life. I’ve never really understood the whole “dress to impress” BS when it comes to going to church anyway. But that’s another subject for another time. She has worn it too. And I gave it to her that afternoon after I got ready for my fill-in assistant announcer gig at Bowman Gray Stadium. As far as I know, she wore it as a cover up when she got out of the pool. Overall, I feel that this old mandom thing is good for me. It probably won’t be long before I start shouting random things at people that I don’t know doing things that I don’t approve of. But I think that I need a grayer hair in order to be dismissed as a crazy old hoot instead of being shot.